I wrote a short piece on neurology and drawing for the MS Trust's quarterly magazine Open Door. The version posted below is slightly longer and has more images. Modern neurology started with drawing. 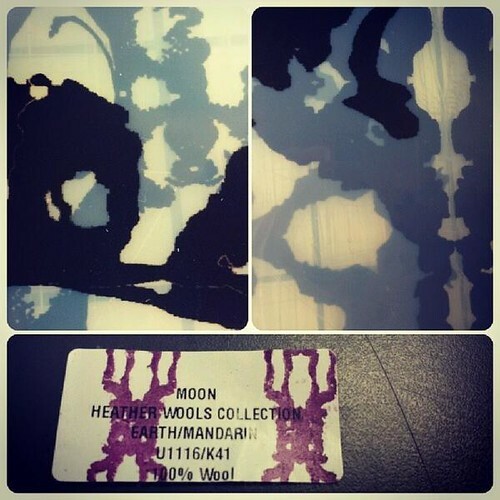 Santiago Ramón y Cajal would spend his mornings examining black-stained cell samples under the microscope. In the afternoons he drew his observations from memory, spidery drawings on paper in black ink. 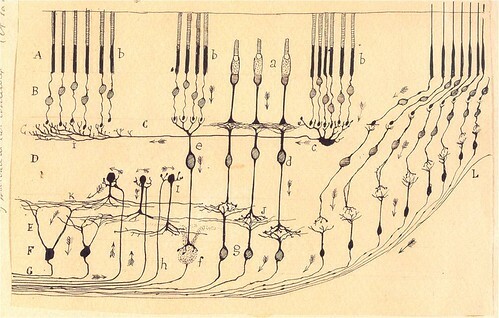 He drew optic and cerebellar cells, brain nerves. He borrowed botanic names for the cellular structures he saw – rosettes, thorns – and rendered them with both the naturalist’s specificity and the explorer’s delight. 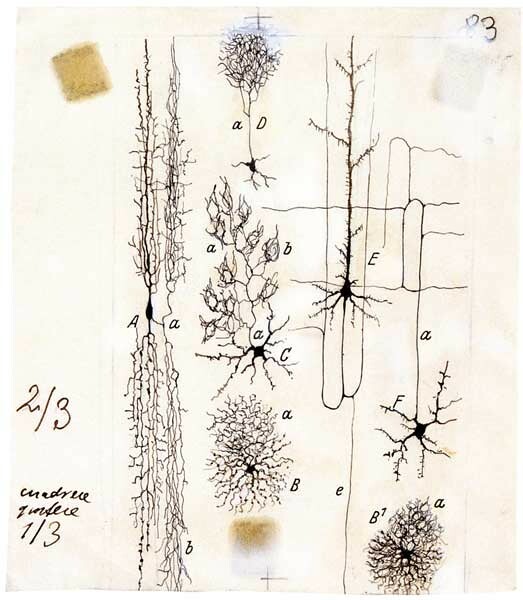 Cajal had wanted to become an artist, but those of us with MS should be grateful his father pushed him toward medicine. By the end of the nineteenth century he led the field. His work was the foundation of the neuron doctrine, a scientific leap that showed that the nervous system is made of numberless neurons – discrete, connected, communicating cells. Images have been central to neurology ever since. In the diagnostic phase, we are magnetically imaged as smoky grey MRIs, gadolinium inking our spinal fluid, we stare at flashing chessboards to test our eyes. Diagnosis requires an aesthetic judgement by our consultants. In the MS literature, our prognosis is a line on a graph whose peaks and troughs describe a possible but unpredictable future health trajectory. The uncertainty asks for a drawn line. 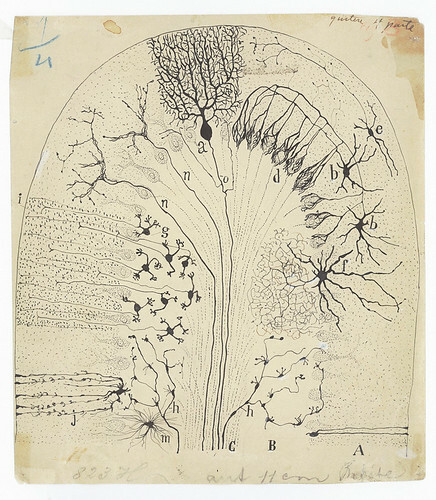 Neurology’s art subtracts to illuminate: Cajal’s drawings and MRI images are a way of discarding data, of filtering down to the good information. It’s analogous to the working of the neural system itself, the brain filtering the neural flood down to manageable information. Our experience of MS is at times impressionistic. Cognition modulated, senses altered: bleached, rippling, blurry, dancing vision in bright light and in the heat. The wobbling ground falling away under our feet. These, heat, fatigue and other invisible symptoms are explored in a new Australian photographic project, Seeing MS. The commissioned photographs tend towards metaphor – spasticity is an image of two feet and a walking stick in a landscape of forbidding banana skins – and the user-submitted ones are illustrative – ‘this is what it’s like to have blurred vision’. Neurology's art is also indirect. Diagnostic imaging operated at several removes: magnified, chemically stained (staining cells started in the 17th century: Anton van Leeuwenhoek splashed a mixture of saffron and brandy onto muscle specimens), and until recently only with dead cells. 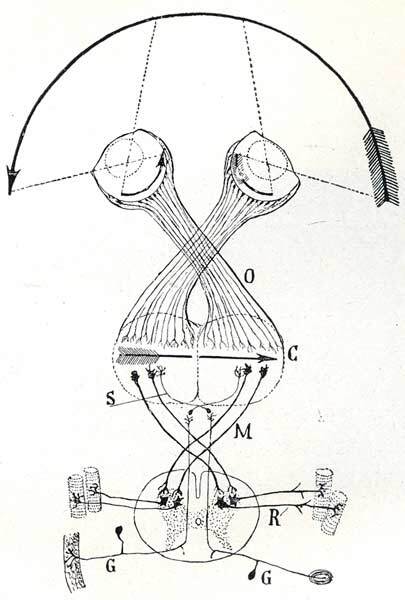 In the 1820s, achromatic lens tech suddenly improved discover(abilit)y, but nerve cells remained to see because their "fine parts barely alter a beam of light passing through them". 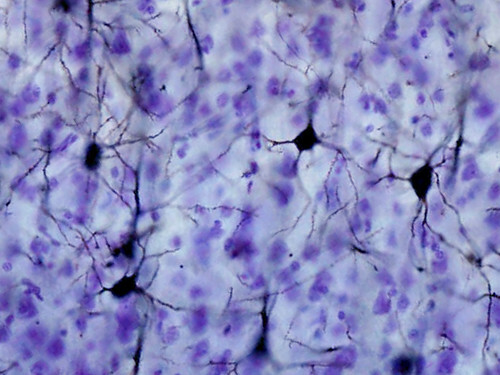 For reasons unknown, the Golgi stain and more modern techniques highlight only a few neurons among many. Diagnosis via a selective blindness. Neurological disorders also inspire art. 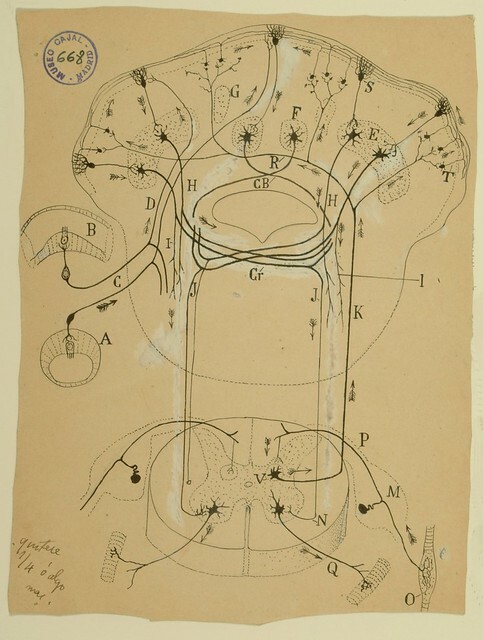 Katherine Sherwood learned to paint left-handed after a stroke; the results were bolder than before, and she has featured Cajal’s drawings in her works. 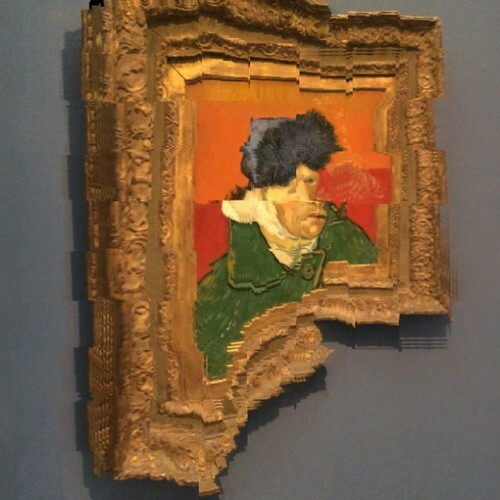 Dundee artist Kirsty Stevens is turning images of lesions into rendered 3D printed objects. Cradle your lesion that you may love and know it better. 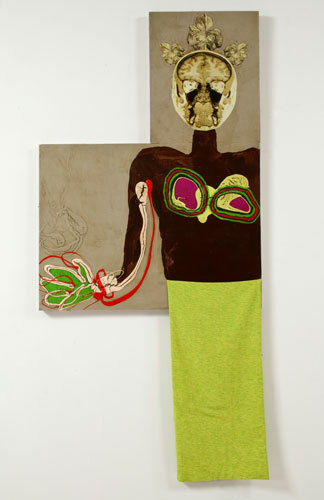 And art can give something back. The MS Trust’s Secret Art show raises funds to support everyone affected by MS. For last year’s show, I thought of Cajal and the shape of nerves, and quickly drew a tree in red ink and one in blue. Mine were more diffuse than Cajal’s confident nerves, the trees dissolving into the landscape somewhat. Next year, I’d like to have an MRI taken of my brain while it looks at an MRI of my brain. There will be hundreds of good pictures by top artists for sale for just £45 in the show. Pick up a bargain and support the MS Trust’s vital work.